To be honest, I was not expecting much at all from this movie. Hell, I told myself that after the other stinkers DC has dropped on us, backed by the look of the Justice League trailer (Aquabro doesn’t do it for me), if Wonder Woman didn’t knock it out of the park then I was going to send the DCEU the way of Michael Bay’s Transformers and swear all of the rest of the films off entirely. I am happy to say that I will be doing no such thing. This film had it all! Action, drama, romance, comedy, more action; everything hit that sweet spot just right! I was originally against DC trying so hard to mirror the Marvel movies’ formula by adding in more levity and comedy into their films, which ended up setting Suicide Squad back a bit last year, but I must say they really pulled it off perfectly here. Chris Pine shined when bringing the funny as Trevor, and his chemistry with Gadot throughout their time on screen together was great! Even the times where he slid into the starring role and took the spotlight from Gal temporarily were seamless and didn’t take away from her story at all. 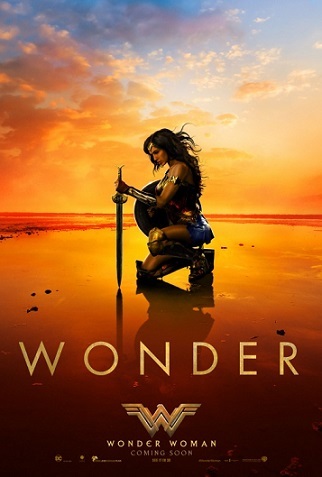 The action scenes were fierce, the use and look of WW’s powers was amazing yet grounded enough to fit the world, and the effects weren’t at all heavy handed. As for the soundtrack, if you’ve heard the film’s main theme by Hans Zimmer and Junkie XL (who hasn’t by now?!) then you’ll be happy to know the rest of the score is of similar caliber. Prepare to have your eardrums thoroughly smashed as you bang your head to the amazing beats, or whatever it is you do when you like the music. Sway? As an aside, a viewer might find themselves thinking about how much this movie felt like Captain America’s The First Avenger (hence my Howling Commandos reference earlier). No one is saying that this movie is a carbon copy or replica of Cap’s romp, mind you, far from it. One may simply see a superhero movie, set in wartime, with an ace squad of rabble-rousers, on a suicide mission behind enemy lines and feel inclined to say, “woah… Déjà vu,” summoning their inner Keanu Reeves. You can put those fears to bed, however, as that is where the similarities end. WW is 100% its own movie and a damned good one at that. All in all I’ll say that not only am I, the eternal nitpicker, happy with this movie, but I’m going to see it again this weekend! I’m so happy that DC finally hit the nail on the head that I want to make sure that they know to make more films just like this one. If you have time this is a must see and that’s not a designation that I give lightly. If you DON’T have time, MAKE time and go see it pronto. No excuses. I got to see this last night, and I wholeheartedly agree with your breakdown. A great movie in its own right – it’s a breath of fresh air in the DCEU. Well done…..your point of view makes me want to see this movie. I am a huge Marvel fan and my son a DC so I try to watch those movies for him and found out how disappointing they all are, but we are talking about a 5 year old here. Although, with Suicide Squad, I felt it was an inappropriate for a 5 year old so he did bot watch that movie and wished I did not too.